If your relationship is indifferent now, just wait till they take over your yard. They have mine. Started out back in 97 with a patch on the south side of my hillside. Now it's half my hillside and on to the front yard. My only hope is that they get along with the other plants. God knows there are worse plants to live with (devil's weed for one). 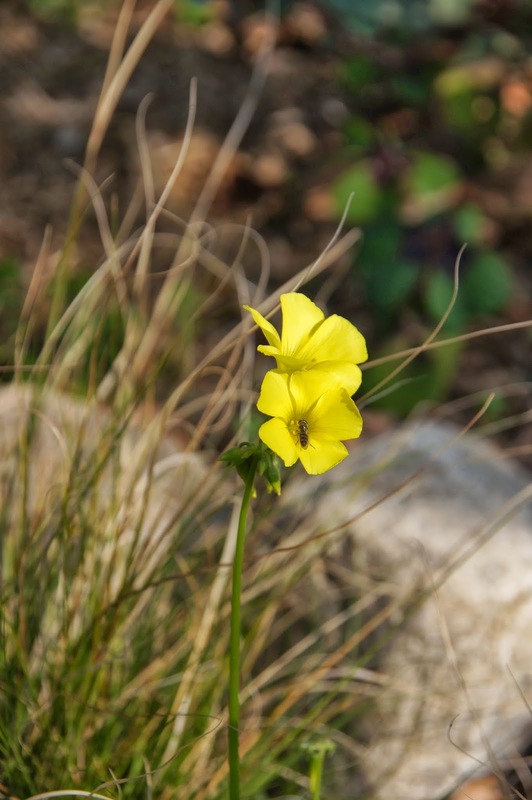 I've always liked oxalis. In fact, back in my college days I grew several kinds for my senior project. One, I remember, like you said was pretty like a candy cane when it was closed up. Closed flowers on cloudy days is probably another reason why it's not sold much in nurseries. Thank you for stopping by my blog. Yours is lovely and I'll surely have fun following along. Wow, love those purple leaves on "Garnet"! Does that species have the same lemony flavor as the others? What a neat addition to a salad! Thanks for sharing those with us, Christina! PA: Thanks for the warning. I ended up pulling out the Goats Foot in the Carex meadow because I didn't want it to compete. I'm sure I missed some and can expect to see its pretty yellow flowers next winter. Kate: Welcome to A Thinking Stomach! That sounds like an interesting senior project. What were you focusing on? Philadelphia Gardener: I just had to go out and taste test. Yes, it tastes just like sorrel--lemony and really delicious, but the leaves are tougher than the Goats Foot. I'm sure the flowers are succulent and tender, but I'm loath to pull them off as I love them so much! I'll have to try once I have more to experiment with. I was at Strouds last night and they had knocked the price down from 3.98 to a buck apiece for the purpea oxalis - but this version has really big leaves on spindly stems. Do you think they can take sun? I'm not sure where to plant them. I picked up four. PA: All but Iron Cross are in full sun here and I think they'll do well in the full sun at your place. Expect them to struggle at first as they've probably been coddled. 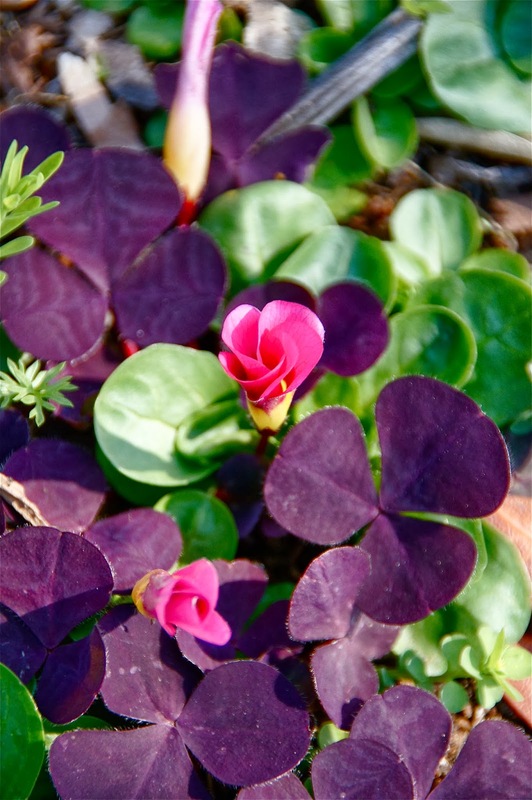 At my house, the oxalis are already slowing down for the year, and once they die back later in the spring, I won't see them again until the fall, when I look forward to their lush foliage and pretty flowers.